I read this article and found it very interesting, thought it might be something for you. 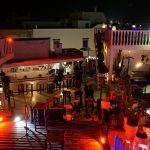 The article is called 7 Nightlife Spots to Enjoy in Essaouira and is located at http://trip-n-travel.com/listicle/22457/. 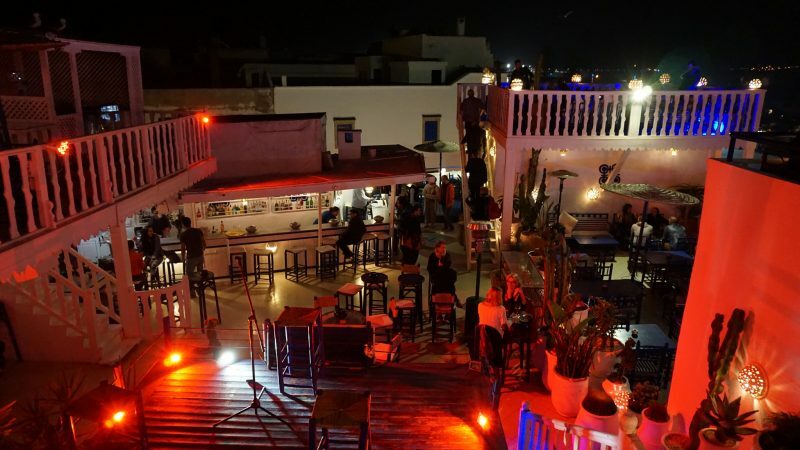 The nightlife scene in Essaouira is pretty chill. Being a Muslim country, only a handful of bars and cafes here serve alcohol. But that doesn’t mean the city falls dead come nighttime! There’s still mint tea and music to enjoy the night. Here are seven popular watering holes to try. Il Mare is one of the coolest hangout spots in the city. They offer the best champagne. Combine that with amazing views from the rooftop deck plus live entertainment, and you’re sure to have one great night. Catch the Afram band play by going there on Saturday nights. Nothing beats The Tru when it comes to authenticity. This is the place to be if you’re looking for inexpensive draft beers and a quirky vibe of the city. There’s music, cheap wine, local interaction, and an interesting mix of the good and the bad. How to Get There: Pass by alley near Hotel Sahara. Find the big arch and turn left. The bar is the last door on the left side. The terrace in Taros is where the fun happens at night. During the day, the cafe functions as a bookshop and gallery in one. At night, however, the bar comes alive with drinks and live music. They have themed nights such as Ganga Fusion, while the hippest bands play during the weekends. An excellent place to hang around in after a tiring day would be Dar L’Oussia. This riad comes with a lovely beachfront view, a soothing spa, and a colorful bar to match. Order uniquely made cocktails while enjoying the cozy atmosphere with a special someone in its spacious patio. The Beach Bar is a must visit if you want a lazy afternoon by the sea. You can do just that here, and maybe meet a few more people to drink beer with. The whole vibe of the bar is pure bliss, nothing too busy and hurried. Sofitel offers a more upscale drinking experience. Beers don’t come cheap, but the price you’d be paying for is worth the ambiance you’re getting. Go for the champagne and cocktails, they’re divine! They also have their own disco and a gourmet restaurant. 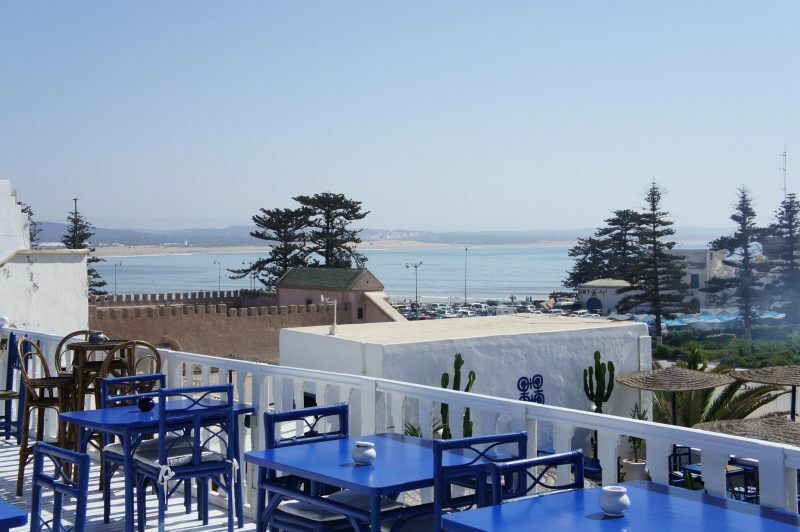 Right by the Beach Bar sits Le Chalet de la Plage, an elegant seaside restaurant serving delicious seafood and Mediterranean fare. They’re famous for their wine, Le Val d’Argan, which is a great nightcap at the bar or a complement to seafood dishes.